Humans and the cities we have created are permanently locked into a never-ending learning cycle, to create ever more complex adaptations to protect increasingly more complex cities. In the Integral City 2.0 Online Conference (2012), five critical threats to human populations in cities were identified: climate, energy, water, food and finance (Hamilton et al., 2013; Hamilton and Sanders, 2013). These threats, are deeply interconnected and must be viewed within a systemic framework that considers all five sets of intelligences in cities – Contextual, Integral (Individual/Collective), Strategic and Evolutionary. In keeping with my contemplation of the Nattrass article “How ARE we to go on together: Our Evolutionary Crossroads” I want to consider the story we tell ourselves about climate – and how that story may be increasing the dissonance we (as a species) are experiencing as individuals, organizations, cities and the planet. I propose that the growing magnitude of this dissonance about climate change is exactly what we need in order to make a significant leap in our collective worldviews about climate change. The Nattrasses bring this dissonance sharply to mind as they reflect on the increasingly anxious questions that have emerged since our early doubts about human relationship to Nature (a form of Collective Intelligence). They ask (as could our mothers too). Is humanity on a collision course with the natural world? What are ecosystem services and how do we calculate their value? Are human activities causing climate change? What are the limits to growth on this planet? Is there a population bomb ticking? Can we meet our needs today and leave enough for future generations to meet theirs as well? What does it mean to overshoot ecological capacity? However, the integral perspective on the cycle of human learning (well explored by Clare Graves) observes that why humans learn depends on precisely their encounters/relationships with dissonance. Without experiencing dissonance we essentially are not motivated to change and so we don’t change! Many believe that the greatest dissonance the globe faces today is climate change. It is impacting all life forms, including ours. The disturbing situation is though, that we cannot definitively say what is causing climate change? But however, we define the causal equation it appears that human behavior is a contributing factor. And commensurately human intelligence is required to mitigate, adapt and if possible prevent it. Climate is inescapably a prime element of the habitats in which we live – including and probably especially cities. As individuals we co-exist with our habitats from the smallest personal social scales (Map 2) to the largest Kosmic scales (Map 4, Map 5). Within these inner and outer spectra of human groupings (Map 2) and environmental contexts, we co-create and co-evolve with our habitats. Virtually any [person, team and] organization of any substance has its worldview, its system of intelligibility, rooted firmly in the Old Story. Each operates, and succeeds or fails, within the underlying assumptions found in the Old Story. In turn, individual organizations must still operate within a global system that is also massively embedded in the Old Story. And in order for any organization to be an influential leader of change for sustainability, it must continue to be successful within the existing Old Story system. Public companies, for example, must continue to show growth and profits, and report them to shareholders every three months, all the while trying to revision and recreate the company and its markets from a sustainability perspective. The task we face is like nothing that has ever taken place in industrial society—it is comparable to rebuilding a jet liner while in flight 10,000 meters above ground. How do leaders help lead this transformation from inside the very systems that need to change, while at the same time avoiding major economic or social disruptions? The operational values of meshworks in living systems is that they enable a continuous stream of natural, living complex structures to emerge – so that the living system can make the most efficient use of energy by capturing the structures (and infrastructures) that have enabled survival and sustainability; for example this is how all the structures that enable cities to function have emerged – from family hearths, to clans, kingdoms, bureaucracies, businesses social networks, communications systems and global alliances (Map 4). At the same time effective meshworks ensure that background activity never stops self-organizing – thus enabling creative adaptation and emergence (e.g. the activities of inventors, artists, researchers, entrepreneurs, developers, etc.). This “natural” meshworking capacity of human systems has never been successfully suppressed in the long run, by any governance system, technology or habitat – because the nature of earthly life has ensured that dissonance is always with us – challenging our hierarchies and demanding new solutions for life-threatening problems. But as the Nattrasses point out, the assumptions and worldviews in the Old Story of how cities work, have entrenched the blindness to the impact of human influence on climate change (whatever the cause) into the very organs (organizations) of the living city itself. The dissonances caused by climate change challenge all five sets of city intelligences: Contexting/ Integral – Individual and Collective /Strategic/ Evolutionary. As we are waking up to the very real threats of climate change to our cities, our 4 city Voices act like clumsy children who are not yet effective managers of their bio/psycho/cultural/social capacities. As cities we are bumbling around – but, because we are noticing that the Old Story of the mechanical city does not answer all the questions that arise, our dissonances are thrown back in our collective face(s). In other words, our city habitats let us know in very real terms when our learning is not sufficient to the task at hand. As Brian and Mary Nattrass point out, we have come to a place on this planet where we have never been before. As a species who has hardly reached our teenagehood, we long for parents who might give us another story to explain life. But, cities as the most complex human system we have yet created are discovering that we will have to parent ourselves. One by one cities are learning the hard lessons and bit by bit, we are teaching the human systems within our cities the difficult learning lessons of climate change pioneers. By extension these cities on the early-change bandwagon are beginning to share their hard lessons with our planet of cities – as each becomes ready to learn (i.e. when the dissonance meter gets loud enough, such as happened in New Orleans and Sendai). As the clarion call for climate change awareness has sounded now for more than a quarter century, the early storytellers of this New Story have despaired at what has seemed collective deafness. They expected nations and organizations to take the lead. But now we see that it is perhaps not surprising that cities have taken the lead, and continue to be at the forefront of storytellers of a different way. Cities as convergences of human capacities have the most to lose by not addressing climate change. They sit at the nexus points of Earth’s greatest tectonic contractions, water flows, air sheds, food production, energy consumption and material production. And they also concentrate the greatest quantity of evolutionary intelligence to focus on the problems at hand. Many early adopters have agonized over the apparent resistance of organizations to respond effectively (or at all) to climate change. But by definition successful organizations have not only been anchored in the Old Story – they have verified it, sustained it and perpetuated it (as the Nattrasses noted above). But with the lenses of complexity, living systems and evolutionary wholeness, we realize that cities are a more complex order of human systems than organizations. Cities are effectively organizations of organizations. And that is why a meshwork (discussed above) is the (fractal) explanation of how they become effective at working together. So now that our cities have woken up and see strategies for climate change, what role can cities play in changing the story of climate change? More precisely what roles can the 4 Voices of the city working together play in transitioning from the Old Story to the New Story? Emerge the new structure(s) by prototyping and experimenting. (Like Curitiba building the city for people not cars). Convene the intelligence/story challengers/researchers for ongoing forums of discovery (Rio, Kyoto, Seattle, Copenhagen, Paris have not been in vein – each convening has moved the story forward). Keep the meshwork a living, intentional capacity building process. In the thousands of years of remembered human histories, it has been expressed in many ways in many times among many peoples that we are that being who lives between Heaven and Earth—ever torn between the god-like qualities of our highest selves and the bestial qualities of our animal selves. Never in our history as a species have we been so urgently called to live and be inspired by the qualities of our better natures; and to grow beyond the tug of our weaker selves. This is a challenge for us as individuals just as much as for our organizations and our society—because ultimately, our organizations and our societies are only expressions of us. So we come now to our evolutionary challenge—the very real challenge of our time. It is the story we are still writing together. It is that socially negotiated story that will ultimately answer the question: How are we to go on together? 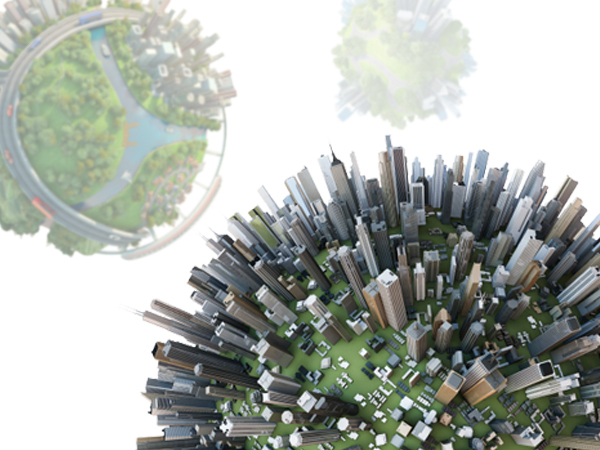 It is my contention that key cities are at the stage of evolution where the dissonances they are experiencing have awakened them to being proactive on their own behalf and on behalf of the planet of cities. These cities who are early adopters of the New Integral City story are creating the habitats that will enable us all to go on together. Graves, C. (2005). The Never Ending Quest: A Treatise on an Emergent Cyclical Conception of Adult Behavioral Systems and Their Development. Santa Barbara, CA: ECLET Publishing. Hamilton, M. (2008). Integral City: Evolutionary Intelligences for the Human Hive. Gabriola Island BC: New Society Publishers. This blog is one of a series that explores the relevance and application of ideas to the Integral City, in the articles published in the Integral Leadership Review – Canada Issue, 2015, curated and Guest Edited by Marilyn Hamilton. What does the US-China handshake on climate change mean for our Planet of Cities? On the one hand it should give them confidence that they are the seed beds of global change – for it is cities who took the initiative on the climate file. While the US nation both denied and ignored the issue of climate change, over 600 US cities took action in support of the Kyoto Accord to reduce greenhouse gases. While China refused to take climate action seriously at any of the global tables assembled to address the issue, her cities became the stage for the undeniable evidence that denying this truth killed people and productivity. It is in cities where the sciences of sustainability, resilience, eco-footprints have been enunciated, explored and extolled. Cities have always been Earth’s acupressure points, where evidence accumulates about the impacts and costs of living beyond our ability to renew resources, failing to understand the interconnection of planetary systems and refusing to accept responsibility for our out-sized energy eco-footprints. The individuality of city life conditions coupled with the universality of the human condition has allowed us to see that we have to value and evaluate the impacts of climate change in unique ways for each city – but with the benefit of a growing collective intelligence about geographical and ecological contexts, integrated (even transcultural) strategies and evolutionary foresight. What the US-China handshake on climate change may mean for cities, is that finally the national policy cloak that covers – and more usually chokes – city access to finances to act on the climate change file may be lifted and loosened. 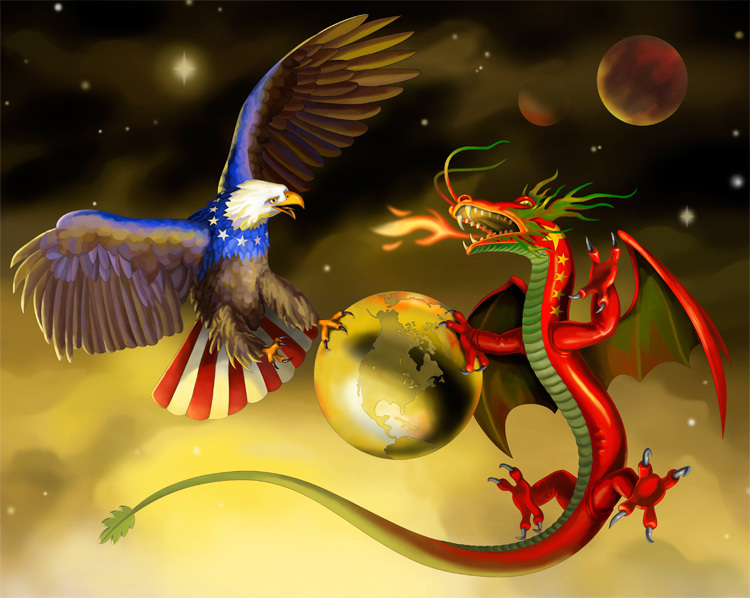 The natural competitiveness between nations, who have used the US-China reluctance to commit to a global climate change agreement, as an excuse for their own inaction, will be pressured both externally and internally to join the norming process that is finally emerging on the climate change file at a global scale. The handshakes that cities may now make with each other on climate change can accelerate, deepen and expand city capacity to adapt, mitigate and prevent climate-caused disasters – even if it is only because the symbolic doors of global economic progress and energy supply chains have been kicked open by this bi-national handshake agreement. It is now up to cities to act as if the symbolism of the handshake gives them license for real action on the climate change file across the whole planet of cities. This gives a radically new meaning to and potential for action on the synchronistic emergence of the ISO 37120 standard on city measurements. 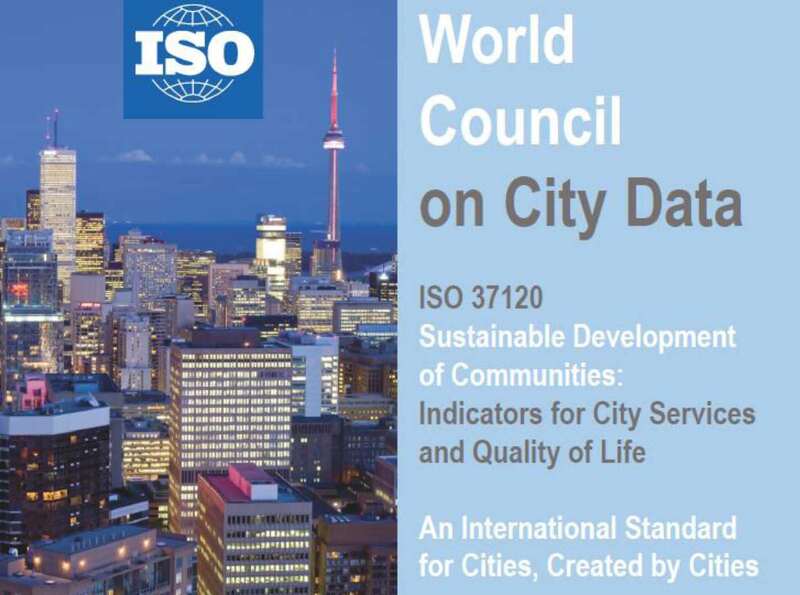 International \Organization for Standards (ISO) has announced a new standard for quality of life in cities. Navigating intelligence allows us to scan the environment and make decisions about our course corrections using Integral Vital Signs Monitors (IVSM). An IVSM is a reporting system whose design is based on an integral framework. It utilizes life-sustaining indicators and communicates its results in a universal language. An IVSM system mines existing databases, gathers new data and reports observations in a global graphic language that is accessible to all (in multiple versions and multiple translations). Its purpose is for providing life-giving data for making decisions that develop, maintain and emerge the health of local and global systems of interest, for the current generations and the generations to come. IVSM’s can exist on any scale of the human system, and are designed so that they can scale up and down from the individual to the planet. The essential design elements of the IVSM provide a framework, indicator organizer and common language to communicate results across cultures. We can see the investment of resources that we have made in each quadrant and level; ie. we can track energy, matter and information. We can translate the investments into terms of traditional financial management; strategic financial investment; density of social networks; or sustainability vectors such as carbon-based resources (or all). By the use of hyper linking, we can see the linkage between realities (four quadrants); levels of complexity (eight plus levels); time (development/evolution); and scale. 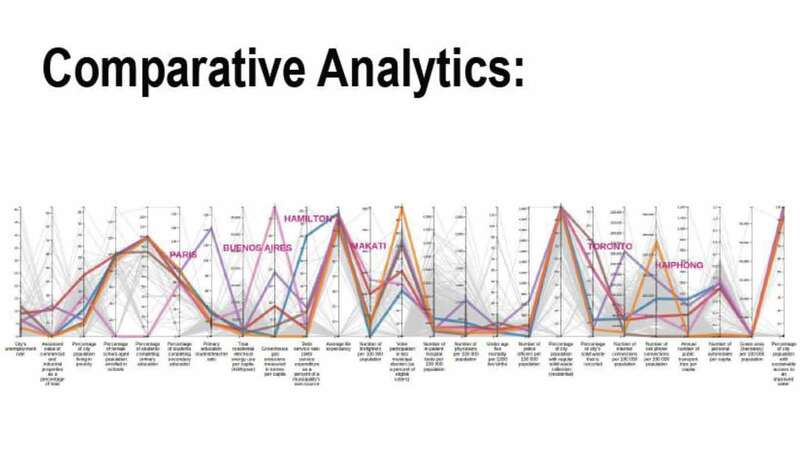 It allows us to compare results internally within urban systems and externally between urban systems. From an Integral Vital Signs Monitor is designed, the Integral Scorecard can become the reporting vehicle for informing all the stakeholders of the city. 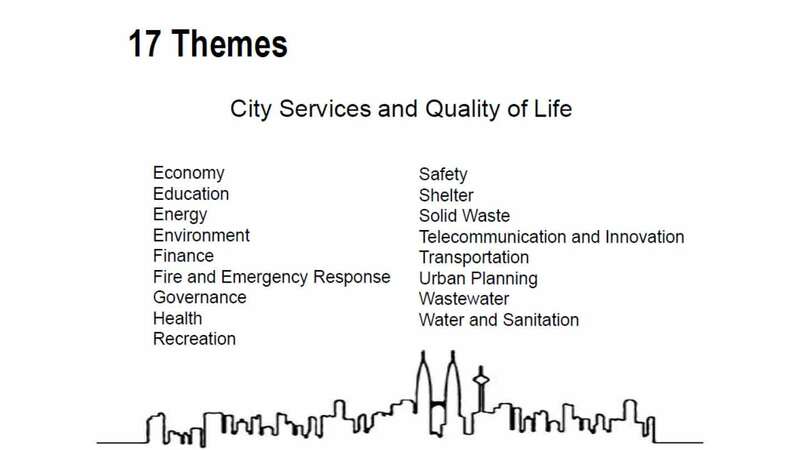 It tells us whether we are achieving the purpose and objectives of the city in a sustainable way. It reveals to us if we are amassing the energy, matter and information that we need to sustain ourselves. It is a way of mapping capacity and potential and has the power to reveal imbalances that indicate unsustainable practices. Navigating intelligence using IVSM works hand in hand with Meshworking intelligence to design new governance systems that research, plan and manage the city. Vital Signs Monitors become Integrally (IVSM) framed when they serve as community indices to measure the quality of overall health and wellbeing. This becomes owned by the whole community when community partners (like the education institutions, health care systems, justice system, economy, recreation facilities, city hall) contribute core data so that a composite picture of the whole community emerges from the integral map. As a result, each community partner has a stake in the success of the IVSM and together the community of partners gains insights how their interconnections contribute to the wellbeing of the whole city. Are economics and technological factors sufficient to incubate innovation and sustainability? At least they are a start to consider the importance of cities to organizational success. Furthermore this approach to SustainAbility appears to bring to the table the voices of stakeholders from the four quadrants of both the city and organizations. This is promising news for the future of Integral City Sustainability Planning. Perhaps the States of Cities will become the leading indicators of the wellbeing of City States? Integral City proposes that all cities have a purpose that serves Earth’s sustainability and wellbeing. Glimmers that the value of purpose are breaking through into the world of organizational and business scorecards are showing up in the news and financial presss. The Toronto Board of Trade just released a report showing how 7 major U.S. cities compare to 5 Canadian cities in 9 industrial sectors. We must recognize this opportunity to measure prosperity as the first step along the way to actually measuring wellbeing in cities. It is not surprising to notice that each cluster is still very hard asset oriented, with little nod to the Creativity or Innovation that underlies the capacity for each and all of these clusters to be successful. While it may be interesting to note that Calgary’s success could be attributed to the nexus of the Finance and Energy sectors in the city, it is only a first step to acknowledging that the expertise, relationships, consciousness and culture in the city enable those sectors to perform at world class levels. However, the practise of Prosperity Scorecarding is a shift in the right direction for seeing cities as purposeful contributors to the prosperity and wellbeing of the planet. Can we anticipate that such a beginning will open up to a whole Integral Vital Signs monitor in the not too distant future?